Retargeting ads are easy to set up, cost effective to maintain and can have powerful results to your bottom line. We’ll explain what they are and how you can start using them in your business today. Why should you use retargeting campaigns? 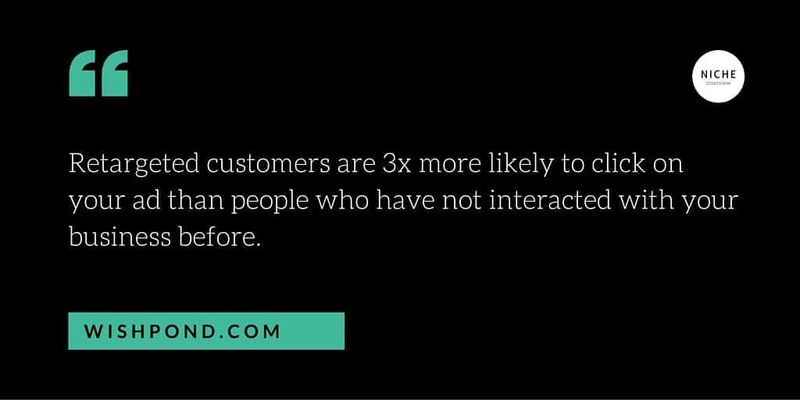 Rarely does a potential customer make the transition from hearing about a product, investigating that product, and making a purchase in one instance. Some users will store it for later reference, some will hold out while they check the competition, and many others may forget it exists as soon as they continue browsing. It is not uncommon for an online shopper to perform all the prerequisite tasks on a site, including adding items to the cart, only to decide they’ll make the purchase at a later time. What is retargeting and how does it compare to normal online ads? Retargeting ads are cost-effective method for remaining in those customer’s minds, which any marketer will tell you is the key to turning visitors into subscribers and customers. 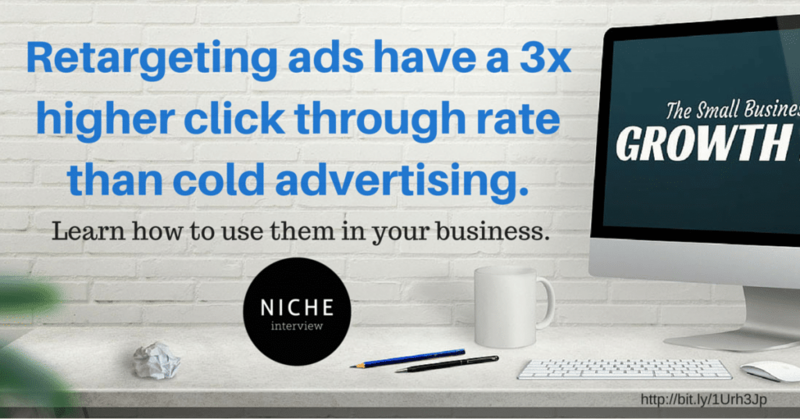 The Return on Investment from retargeting campaigns can be much higher than advertising to “cold” traffic alone. Retargeting works the same as normal ads, only the information acquired via cookies on your site is used to add reminders to these users’ social media pages about the product. This means that only those people that have already been engaged with your website in the past will be shown your advertisements. Since Facebook and Twitter are the most popular social media platforms by far, they are the best examples to show you how retargeting ads work. If you spend a lot of time on Facebook, chances are you see dozens of retargeting ads every day. You’ve probably even recognized that some of the ads are related to your recent browsing behavior—like an ad for a video card you put in your cart but didn’t buy, which suddenly shows up next to your newsfeed after you left the shopping site. This is not a coincidence, but the clever marketers for that company or e-commerce site using Facebook’s advertising platform and their “retargeting pixel”. What is a retargeting pixel? Twitter’s retargeting works the same as Facebook Pixel, only the code snippet is called a “website tag”. In fact, virtually all elements of their platform work the same, but have different names. Custom Audiences are referred to as “tailored audiences,” and the criteria for classifying them differs in syntax only. Collected audiences are based on accumulated click-through rates that meet this criteria, and they are grouped for ninety days before the lists are purged and the tracking begins again. Twitter places retargeting ads discreetly between posts from their favorite users, and can take the form of tweets that discreetly fit into users’ feeds, or Twitter Cards, which allow more text than the 144-character limit. How are retargeting advertising costs calculated? Facebook and Twitter both use and auction-based system for advertising fees, and since retargeting ads fall under the same system, its cost is subject to circumstance. In these systems, you provide unspecified amount as a budget, which denotes how much you’re willing to spend on ads, and these budgets are entered on your behalf into auctions against similar ads. The systems are geared toward making sure everyone eventually gets a moment in the spotlight, but allows people who are willing to spend more on advertising to get first dibs on a spot. 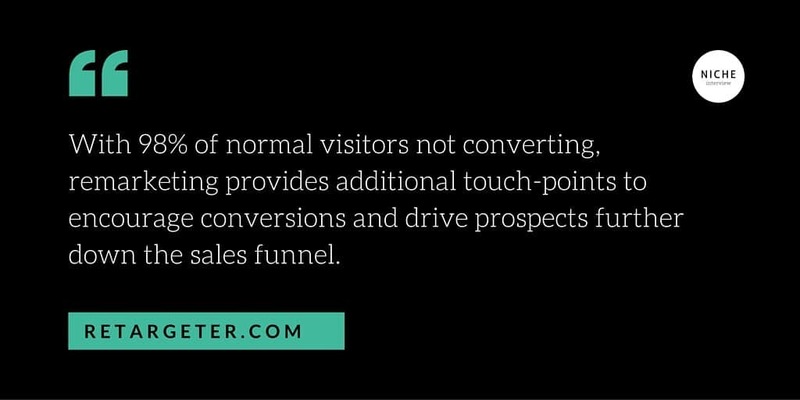 Since the retargeting components of each advertising platforms are just scripts to enter on a site, neither platform charges extra to add retargeting or conversion management to your portfolio. Instead, these methods work in conjunction with existing ad campaigns and conversion trackers to maximize their effectiveness. Even if you don’t plan to implement a retargeting campaign today, ensure that you install all the required code onto your website as soon as possible. This will allow for your audience to be built in the background and ensure it is ready for future use. Facebook provides an “ads create tool” that allows you to create what the users will see, and this tool allows you to create multiple variants. You can select from millions of stock images for your ad, but it is recommended you have brand-relative images on hand. Campaigns run on business goals. Have definitive set of goals documented that will guide your decisions about who to target and how. Consider that the audiences for the social media sites may use them for different purposes. Facebook users tend to search for more engaging content to pass the time, while Twitter users are generally searching for a quick boredom fix between other activities, so you should modify the tone of your ads accordingly.